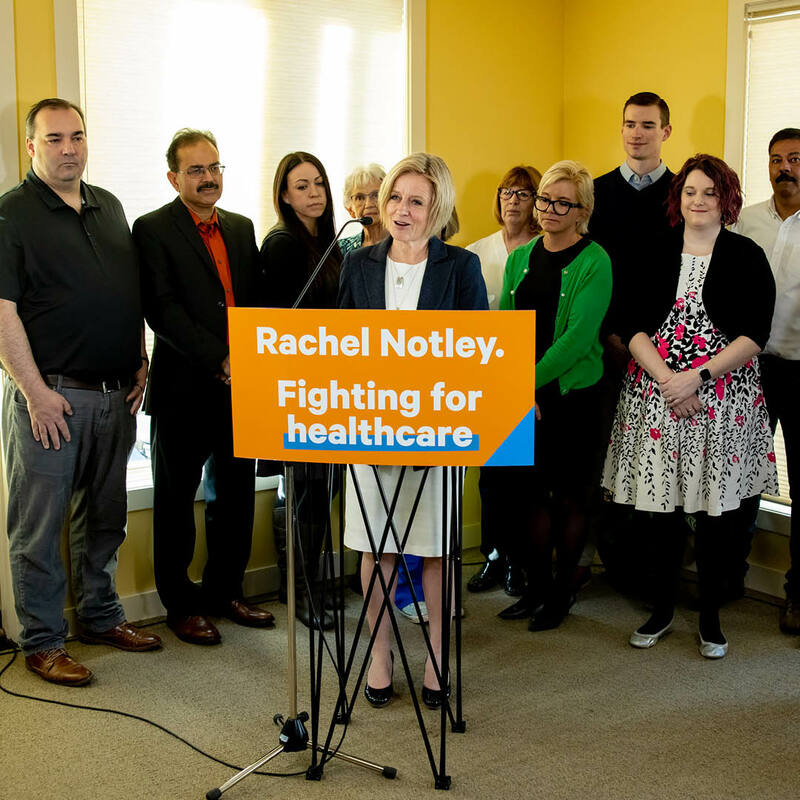 Rachel Notley announced a strategic plan Tuesday to boost emergency care, cut wait times for cancer patients and get EMS crews back into the community sooner. Notley announced the three-year plan in Calgary at the Wellspring Carma House, unveiling a plan that will help 40,000 more Albertans will get the surgery they need sooner. Notley's plan includes a strategic investment of $90 million per year over the next three years. It builds on another campaign promise made last week to add 2,000 long-term care beds, which will reduce wait times by freeing up hospital beds. Alberta is already among the best in Canada in ER wait times. In order to further reduce emergency room backlogs, Notley’s plan will increase urgent access to specialists. New community-based care teams will be added to help patients at home. While Alberta is among the best in Canada for hip fracture repair and radiation therapy, Notley wants to do even more. For Albertans awaiting surgery, Notley’s plan will increase capacity for procedures that often slow down the system, including cancer, cataract and cardiac surgeries. The plan will also involve new rules to allow EMS crews to care for up to three patients, while also posting EMS professionals to help take on patients. The vast majority of crews are expected to return to patrol within 90 minutes. While Notley has a strong track record in public health care, Jason Kenney can’t seem to keep his story straight. Kenney has long advocated for two-tier American-style health care, though his views have landed him in trouble. He has signed a pledge for public health care, but added that he wants a much bigger role for the private sector. Kenney has promised to maintain health spending, yet refused to commit to keeping investments in line with the population. With the future of the health care system on the ballot, Notley will say “no” to American-style changes every time.